Fun family HD movies. Powerful zoom. All with ease. 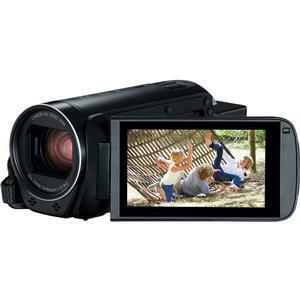 Capture your family's most precious memories with the Canon VIXIA HF R800 camcorder. Thanks to the powerful 57x Advanced Zoom, you can record moments near, far and in between. 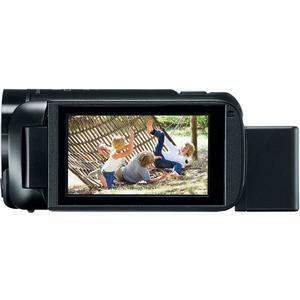 The lightweight body of the VIXIA HF R800 means you can keep it on hand to record whatever you want, whenever you want, and removable SD cards provide quick and convenient sharing. 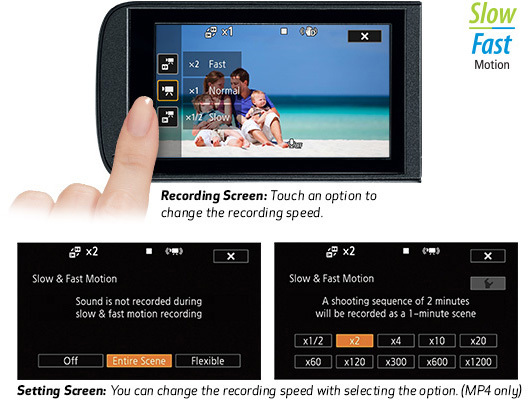 Its streamlined user interface and capacitive 3.0-inch touch panel LCD screen make it easy to shoot, navigate menus and view videos with large, simple icons. Explore creative options with improved slow and fast motion recording, while Highlight Priority mode with backlight correction helps ensure realistic colors and tones. 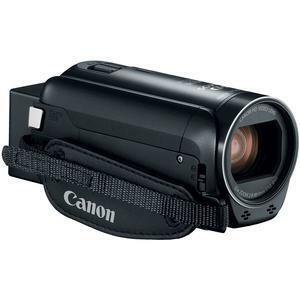 Image quality remains smooth and virtually distortion-free even when shooting handheld video thanks to a SuperRange Optical Image Stabilizer. To complement the VIXIA HF R800's long-distance recording capability, Zoom Framing Assist helps keep distant subjects in the frame. 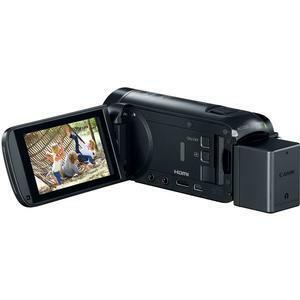 Easy to use and bring with you, pick up the VIXIA HF R800 and start making memories. 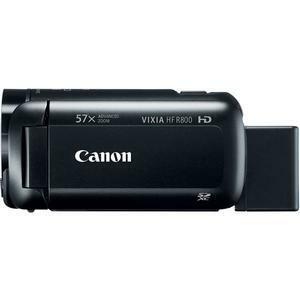 The VIXIA HF R800 camcorder is fully compatible with Canon's photo and video storage device: the Canon Connect Station CS100. 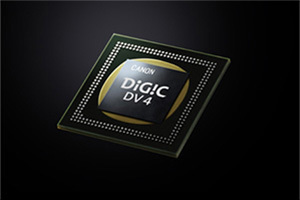 It provides up to 1TB of hard drive space, storing approximately 150,000 photos or approximately 70 hours of video content. For ease of use, it features NFC for quick file transfer, as well as simple menus for easy file storage, managing and sorting. 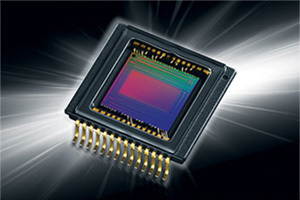 Images and videos can then be viewed in Full HD on an HDTV, sent for printing and more. 1920 x 1080p (35 Mbps); 2 hrs. 1920 x 1080p (24 Mbps); 2 hrs. 55 min. 1920 x 1080p (17 Mbps); 4 hrs. 10 min. 1280 x 720p (4 Mbps); 17 hrs. 20 min.